Therefore, supported by my parents, I came to Milan and for two years I studied at the Academy. I was like ‘Babe the gallant pig’ going into town… I was little. I expected more disruption, more difference. Milan is a fairly compact and neat city. I think it is the ideal city for a San Danielese who wants to move to a bigger place. Milan is the perfect city because it is tidy, everybody works and does what they have to do. The impact was positive and I was favored by the fact that I went to live with my three friends from Udine so I had a sort of home, a sort of family in Milan. We supported each other. Then at the academy I made quite a few friends that I’m still close to. I must say I was well received so thank you Milan for welcoming me. Someone stole my iPod once, but do you know what I did? I didn’t catch him in the act but I felt somebody pulling out the iPod from my backpack at the exit of the metro and instead of saying ‘Damn! Oh well, I will replace it’, I chased the guy. I chased him and I said ‘Excuse me, you took my iPod’. He played the dumb like ‘no no no’, and I said ‘let me see your pockets’. I might not be here today because of that incident. He showed me his pockets and there was nothing there. And then, you know those street sellers you see in the metro? He had witnessed the scene from behind and he told me ‘Under his jacket!’ and so I said ‘You have it under your jacket!’. ‘Okay, here you go…!’. I had broken his balls at that point… I don’t think anyone had ever done that before! He was from Bangladesh I think… I took a sample from Argentina with me… Coming from Buenos Aires’ chaos he feels just fine in a city like Milan, and me too from a certain point view. After four years in Argentina, used to the chaos, the traffic, people… It’s like Naples to the nth degree, it’s a jungle. When I arrived in Milan I said ‘Oh Wow!’. My husband is happy here, for him living here is a piece of cake. I met him on the set of Violetta, he worked in production, and I brought him here. He is trying to get into the television world, and it is not easy after so many years over there. I am very ambitious. What do I want to achieve? I do not know, I live the moment. I mean, if I can do something I do it and I try to do the best I can. There is a common thread in all the things I do: music. I started studying when I was eight: guitar, music theory, composition… I’ve always been in the field. Music has always been there and I think it is the only thing that will always be there in my life. That’s what I want to do, it completes me. I am finding myself in a bit of a strange situation that I had not calculated, but you know, that’s what happens when one takes part of such a big and popular project… I read an interview to the actor who played Harry Potter and he says ‘I will be Harry Potter for all my life’. I will be the one who played Violetta for all my life. But it’s good because it is also a challenge for me, I have to prove that sure, I played Violetta and it was a beautiful thing that helped me very much… It gave me a boost. People tend to see it as a show for kids, and so I can only do things for kids… but no, I would like to prove that I can sing, I can write, I can do other things. But there’s time, I’ll show you. 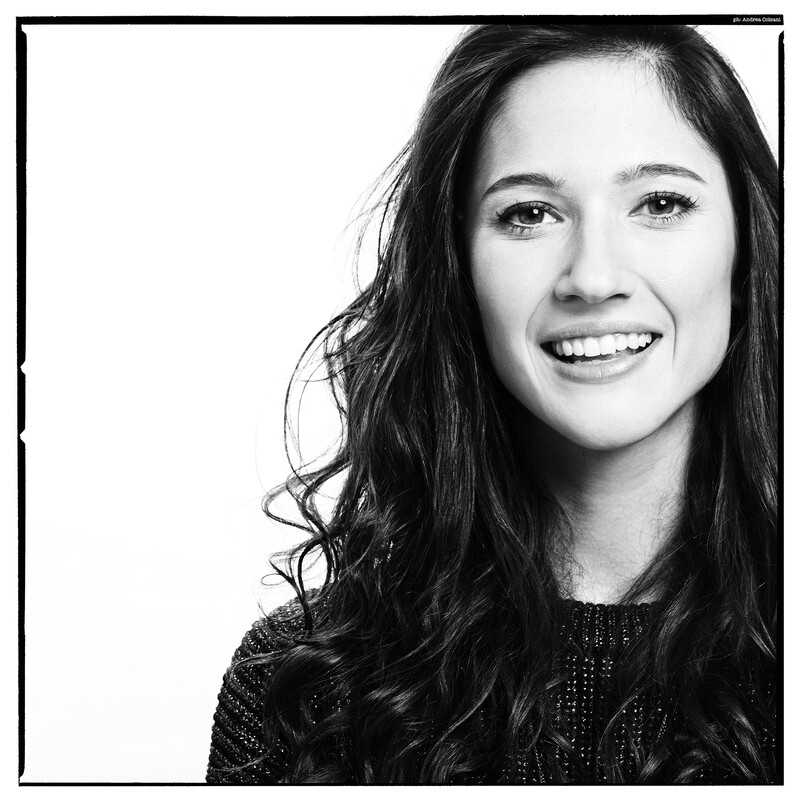 What burns is ‘Hello I’m Lodovica, I played Violetta’ and the reaction is ‘ah, yes ok…’. But people don’t know that we registered for three years, three seasons of 80 episodes each, for a total of 240 episodes, we went on a world tour, we held sold out shows in stadiums… In short, we gained great experience. On my Facebook there are only people who have put LIKE to my page, they are the people who follow me and so my page is full of compliments… Then when I go to programs watched by adults or now with Italia’s Got Talent and people tag me on those pages, the typical question is ‘Who the hell is that?’. ‘Oh, she made Violetta, but why does she host a show now? No!!!’. It happens a lot, and so my mission is to make you change your mind. I’m also quite a feminist, I don’t like labels and I want to remove them, from Violetta to women that can’t do things, or young people… the future is ours and we have to do our best. I am very pleased to see that there are women and there are young people who so greatly juggle these things. I support freedom of religion and thought. I find it outrageous that today there are people who still don’t know how to live with someone who is different, religiously, ethnically… The world is everybody’s, we are all the same, everywhere, also in Milan there aren’t people who are 100% Milanesi. Milan is made of Calabresi, Romani and Neapolitans… and so is the world. I always fall back on tolerance’s topic… in San Daniele there are two people, not quite two people but I mean that we all know each other and that there are very few inhabitants. Unfortunately in such provincial places people look sideways at others, homosexuals are cases to be kept in quarantine and so on. I consider myself as an open-minded person, however, coming to Milan and meeting so many people, seeing that here certain things are not even an issue anymore, I said ‘That’s good!’. Sometimes I try to export the word back to San Daniele, I am like an heroine. ‘We are all the same guys’ I preach in the street. This is learning to tolerate each other. A forbidden video? No, no, never! I can assure you I’m not that type of person and I’m not interested in scandals whatsoever. We often didn’t record the episodes in order, the scenes were all mixed up so it happened that on the same day we were to record the second scene of the third episode, and the 25th of the 48th so we had to manage to maintain the logical thread of our character’s story, in spite of all these changes. But there were two directors who interviewed us by surprise: ‘What did you do before this scene, what will you do after?’, ‘Heck! I haven’t studied!’. It was difficult because maybe we had to be in a scene where we were at a particular positive moment of our story and in the following scene maybe we had just dumped a boyfriend so… But we did it anyway. I once had a dream about a log cabin in the middle of a snowy forest in Finland. Outside reindeers and Santa Claus, while I’m inside writing near a small crackling fire. I’d like to be able to treat myself to that one day, some thinking and writing time. Trips are always inspiring. With my very first paycheck I went on a trip to New York. It was the dream of my life so I was very happy. It was the first time I bought something so big and important, I got myself a nice present. I did it with my money, with my savings, and so I was very happy. Plan B? There is no plan B. The place is in Via Vincenzo Vela, I don’t remember the number, it’s near Viale Abruzzi, where the Cinema Plinius is. My sister lived there when I moved to Milan. My sister studied here, she lived here for many years. She got a degree at Politecnico and then she went back to San Daniele. Our paths crossed for a little less than a year. When I arrived in Milan I was a young and lost Friulana and so we had a ritual every Tuesday night, I believe it was on Tuesday nights. I went to spend the night at her place and we watched X-Factor together, for me it was like being at home. Since she is a good cook she made me soup, the way may mother makes it. It was a moment of pure joy and so I choose that as my favorite place. I’m a fan of Muccino. This is a plea for Muccino. Aesthetically it is not the most beautiful city in Italy, that’s a fact. The greyness is always around but despite that I’m attached to Milan, I like it here. I don’t go in. Not that I have a killer instinct but I went on so many meet & greet at Disney stores, signing gadgets and so on that I look at them but then I keep walking… bye! Guatemala and a fan in my room. I got to the room, we had gone for a relaxed dinner, I open the door of my room, switch the light on in the living room and there I see a guy, he was shaking, so I started shouting ‘security!’ because one thinks of a thief or a maniac. How could I know that he was only a fan who had climbed up? I was on the first floor, I had a balcony that was easily reachable. Who would think he was a fan? I got so scared that I left. Then security arrived and took him away. Afterwards I felt bad for him, even if it is not normal to break into people’s rooms.